Google reCAPTCHA is a free service that is widely used on websites to block abuse and spam. reCAPTCHA blocks spam users while still allowing valid users to easily proceed. 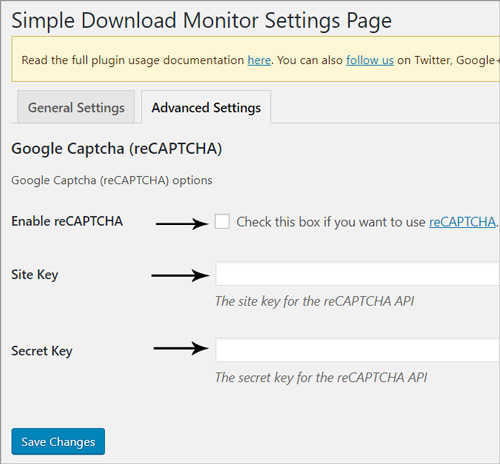 The Simple Download Monitor Plugin has a feature that when enabled, allows you to add reCAPTCHA to the downloads you create. Adding this security measure to downloadable items on your website allows only ‘real life‘ users to proceed to download. In your WP dashboard, click on ‘Settings‘ under the ‘Downloads‘ menu. Once you are on the settings page, click on the ‘Advanced Settings‘ tab. You will now see the settings that relate to reCAPTCHA under the ‘Google Captcha‘ heading. 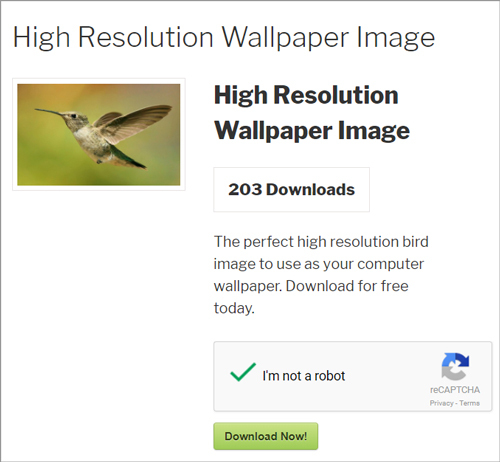 Check the box next to ‘Enable reCAPTCHA‘ to apply this feature to your site. Enabling this will add captcha to the ‘download now’ buttons. You will need to copy and paste your reCAPTCHA site API key into the ‘Site Key’ field and your reCAPTCHA secret API key into the ‘Secret Key’ field. You can obtain these keys from Google here. You may need to register your site with Google to obtain the site and secret key. Make sure you ‘Save Changes‘ once entering in your reCAPTCHA details. The reCAPTCHA verification box will now appear above all of the download buttons you have created. 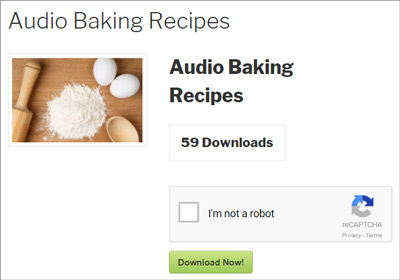 Once you have enabled the reCAPTCHA feature, your visitors will need to complete the verification before being able to download the item. If a customer successfully completes the reCAPTCHA verification, they will be able to download the item you are offering. If a customer attempts to continue to download an item without completing reCAPTCHA, they will see a message stating ‘Error: Google reCAPTCHA verification failed’.